Locking yourself out of your home, car, business or anything else is not something that you usually plan to do. Unbelievably, it often happens at the worst and most inconvenient times. Whatever the situation, you can call on our 24 hour lockout service. We can even gain access to safes or vaults if combinations have been lost or forgotten. No matter what time of the day or night, we have qualified and experienced locksmiths ready and waiting for your call. We understand just how easy it is to accidentally lock the keys in your car or house, and we’re here to help. Our 24 hour lockout service provides you with a simple solution to this annoying mishap. If you are located in Bondi Junction or surrounding suburbs simply give us a call at any time – 24/7. Before you know it, we’ll have a highly skilled locksmith arrive at your location with a fully equipped locksmith van, often within 30 mins (timing depends on location and traffic). Our expert locksmiths have various skills for opening locked doors, safes and locks. The exact technique used will depend on the lock involved. You can have the confidence that our locksmiths will not damage your existing locks in any way whilst gaining entry. We aim to make sure that your lock functions as per normal when we have finished our service (unless otherwise advised by your locksmith). We can cut a new key or set of keys from the lock itself. Our advanced technology allows our locksmiths to create a key for your lock without having a key to copy. This technique is effective on most locks. We can rekey your lock or reprogram any electronic keys to ensure that anyone who finds your lost keys cannot gain entry to your car or premises. Another option is to completely remove the current lock and install a new lock. We stock plenty of options, if you choose to go down this path. Depending on the issue, rekeying the lock is often a quicker and cheaper option. The benefit of our 24 hour locksmith service is that our locksmith vans are just like a mobile workshop. 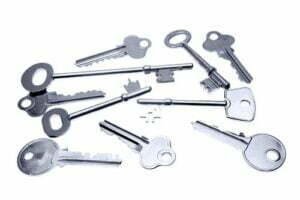 They contain all the required tools, equipment and blank keys for our locksmith technicians to perform any locksmith service on site.